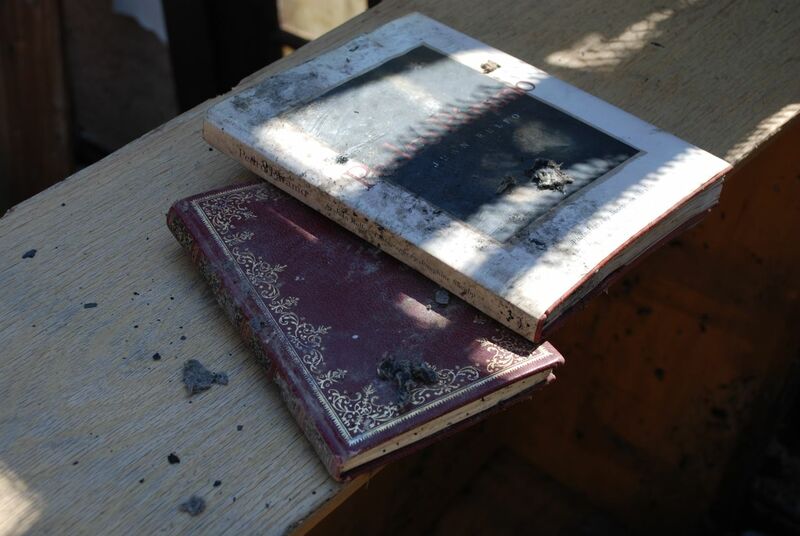 For several months after the fire, I stopped reading. The most I could absorb was Time Magazine’s “Verbatim” or the occasional short story in Harper’s. Part of this was a response to the shock of losing my home and starting over again, my inability to absorb any information that was unrelated to covering basic needs: shelter, food, clothing, sleep. The more difficult part had to do with my deep sense of loss. Losing my books was like losing beloved friends, like losing memories. There’s The Human Line by Ellen Bass. She signed it for me despite my gushing all over her when she came to read at Bookworks. There were all the copies of Malinche’s Daughter. It took me a long time to put together a wish list of books. There were practical matters like making space in the office, buying bookcases, taking inventory of what I’d lost. At long last, here it is. If you would like to help recreate my library, please visit my Amazon Wish List. I am not picky about hardback or paperback. Used books are fine. I care most about the stories, and with your help, the books that now come into my home will have their own stories, stories from the community that has formed around the writing of Vessels. Many books I lost are not on this list. As I’ve written before on this blog, the lesson of the fire is not to return to the life I had, to try to recreate what once was. The lesson is to keep walking, taking with me only what I can carry, only what I need. Thanks for walking with me. i have many of these books to send you. How do I know they’ve not already been bought by someone else? Dawn & All, we can avoid duplicates by keeping the Amazon list updated. If anyone buys a title off of Amazon, the list will automatically update. If someone provides a book from another source, she/he can update the list by clicking “Buying this gift elsewhere?” next to the appropriate title. I’ve updated yours, so no worries. Oh, I am so sorry to read about your fire! I cannot imagine how awful this must have been. On the other hand, I am delighted to find your blog! Good wishes to you, dear Michelle. The fire was a crazy experience. Someday I’ll have language for it. For now–and forever–what stands out is gratitude for all the love and support from my community. your blog posts are lovely & i much appreciate the corazon and sencillez you write them from…i wanted to send you a book-regalito from your list above, but i can’t figure out if the wishlist has your shipping info….mandamelo, please…. gracias, iréne, for the comment y por el regalito. my shipping info should appear at checkout, but i think that’s only if you’re ordering through amazon. i’ll email address to you. un abrazo.